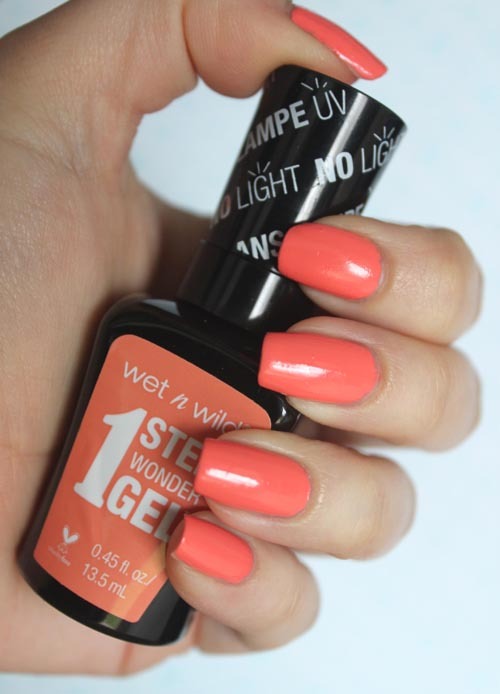 A nail polish that doesn’t require a top coat and promises to wear for two weeks? A marvellous phenomenon indeed! But how does it REALLY perform? 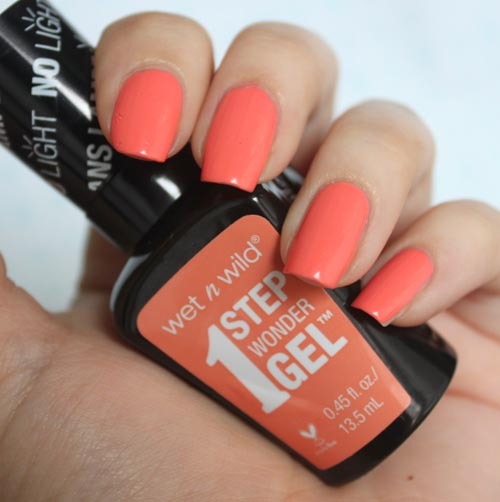 I put the Wet n Wild 1 Step Wonder Gel to test and today I’m sharing my thoughts. It’s a very thin, water-like consistency, which can get sloppy if the brush is over-loaded. But the colour applied nice and even with just two coats needed to achieve full opacity. It dries super quick too! I picked up the colour Pardon My Peach – a nice coral-y orange, but nothing overly spectacular or unique. I already have a few hues similar to this in my collection. However, I definitely prefer this formula! It dried with a nice glossy finish and was fairly long-lasting. Although it didn’t last 14 days like Wet n Wild claims, I did make it to day five with minimal chips. Not too shabby if you ask me, considering I didn’t use a base or top coat! But by day eight my manicure was looking a little rough and had to be removed. In my experience, however, I haven’t tried any brands that stayed on my nails this long. This one trumped the performance of some high-end polishes I have, and at the price of a Starbucks latte, it’s a hit in my books. I’m already itching to try more colours.